Hey everyone! 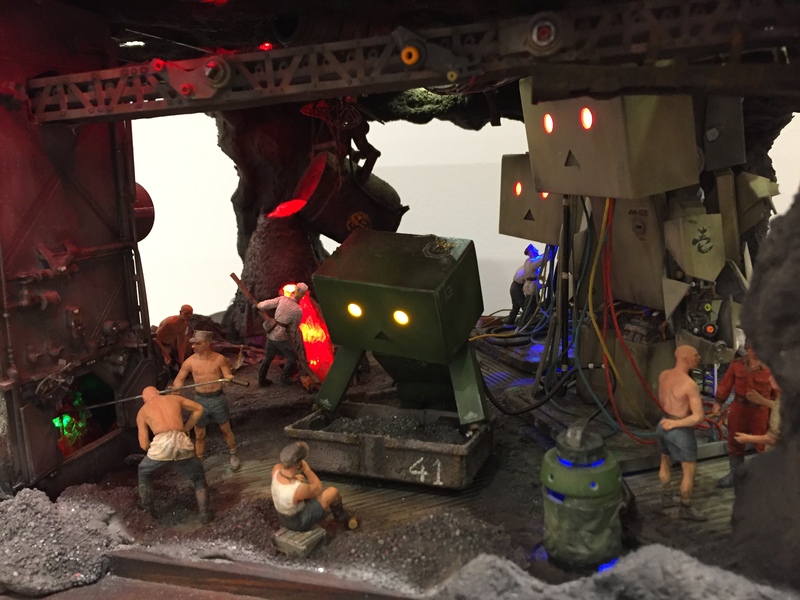 Agent Leu here to bring you a special sneak peak at Kotobukiya’s HQ in Japan! 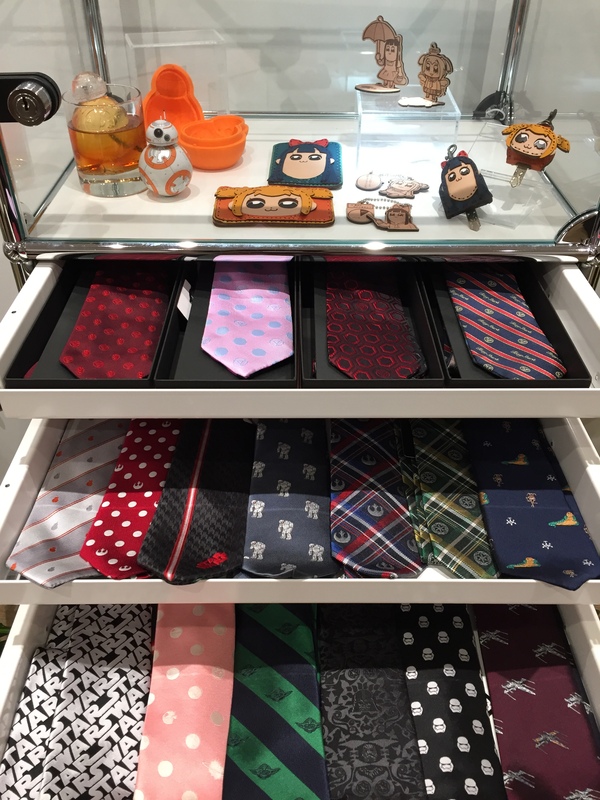 Located in Tachikawa, Tokyo. 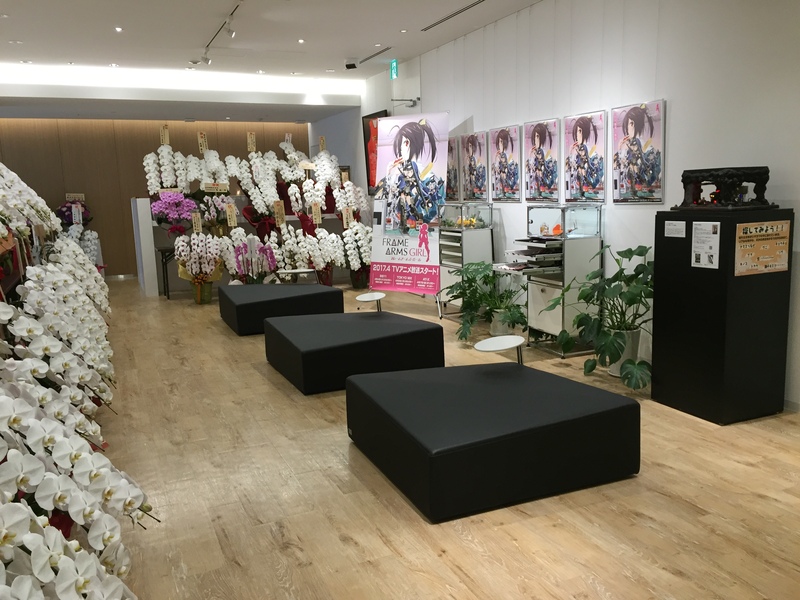 Kotobukiya’s very own building was opened in March of 2016! We’ve got two stores at this location (one on the first floor and another on the second). For more information on our shops, check out our webpage! If you’re a visitor here for business, you get to chill in our lounge on the 3rd floor. 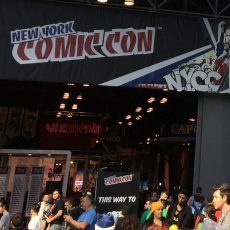 Usually this is closed to the public, but being the super special awesome agent I am, I took some secret photos to show you guys! FLOWERS! Why so many flowers?! Good question! 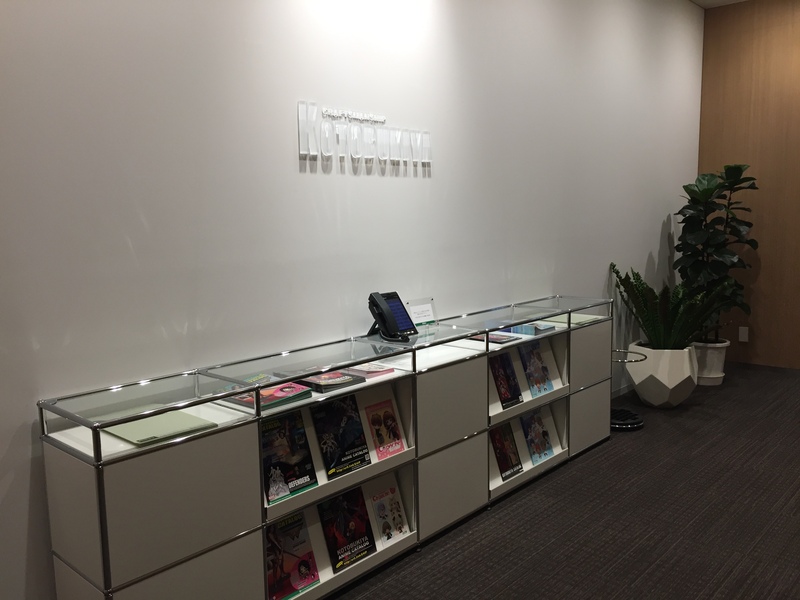 (no one asked…) On September 26th, 2018, Kotobukiya officially went public on JASDAQ! 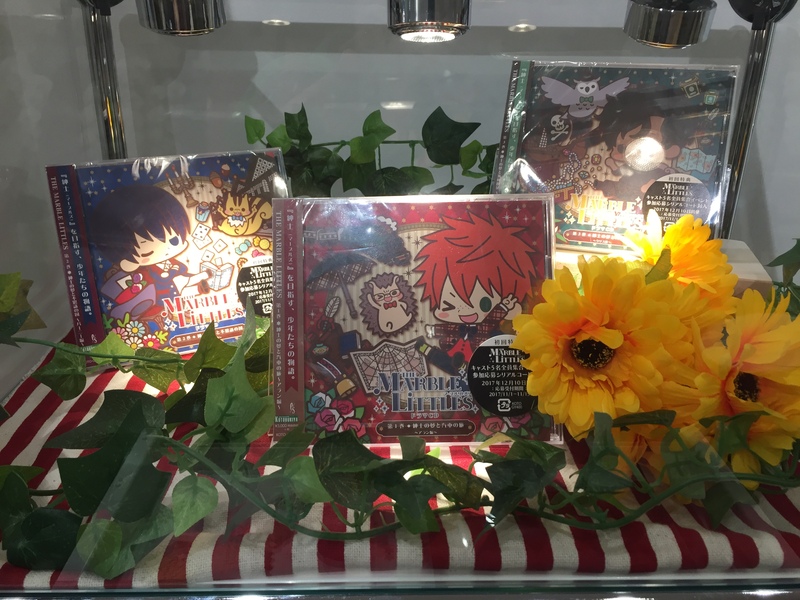 Now you can be a stock holder of one of the largest hobby and collectible manufacturers in Japan! Yay flowers! 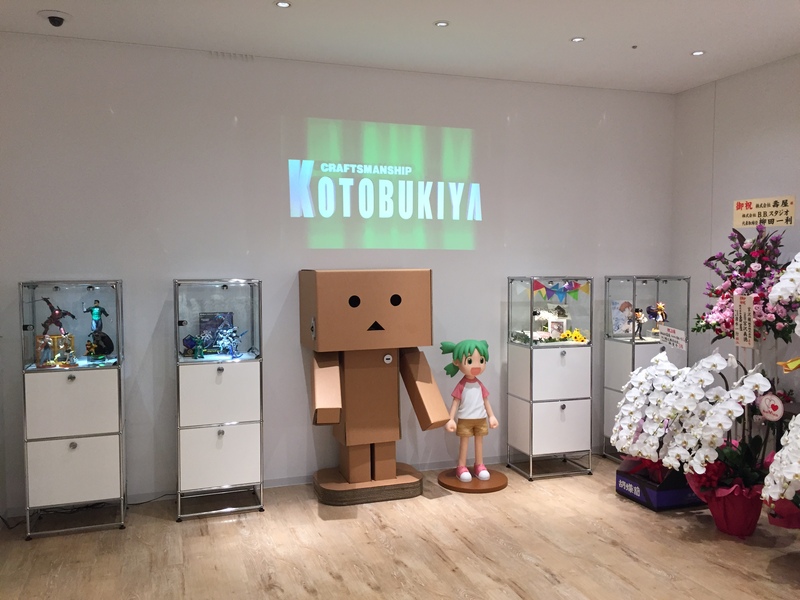 Besides flowers, we also have a giant Danboard and Yotsuba to keep you company, as well as new product displays for guests to check out. Surprise! 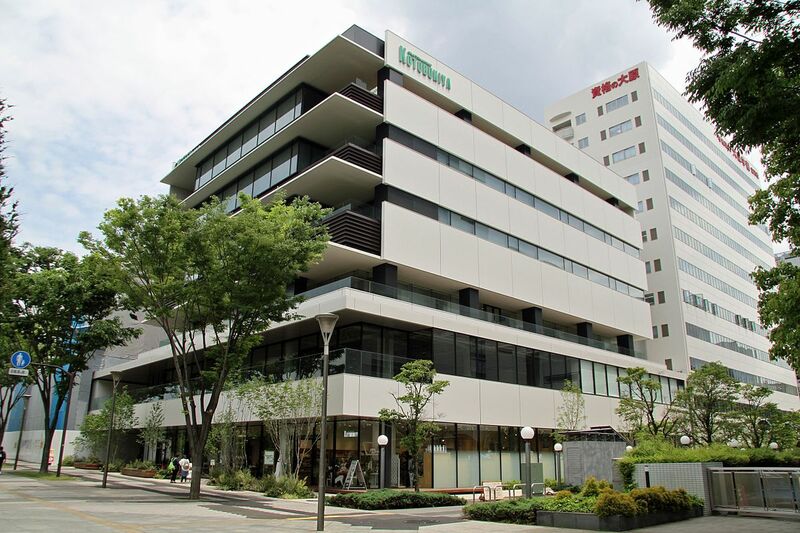 Kotobukiya doesn’t just make figures, we also make kitchen goods and high-end business goods! We also just newly released an original series, Marble Littles, with characters designed by the famous Sakurai-sensei! And last but not least, if you get REALLY bored while waiting in the Lounge, you can always test your observation skills with this Danboard Diorama to see if you can find everything on the list (butterfly, snake, etc.). Well, hope you enjoyed this little sneak peak. Until next time, Agent Leu, over and out!